Each evening starts at 8PM, with doors at 7:30, and admission is free, but we suggest a donation of at least $5. All donations go directly to the bands, so we encourage you to be generous if you had a great time. The shows are open to all ages, and we invite our audience to bring their own refreshments, but ask that alcohol not be served to minors. In a special, jazz series-only deal, we're offering a free beer with every purchase of a Fisch Haus Art Show Survival kit or pint glass. Dee Starkey, our illustrious and long-serving M.C., will be again offering a short poetry reading before each evening, of poetry specifically chosen for the event. This year's series is very generously sponsored by The Bonavia Family Foundation, Jo Stevenson, and Dee and Linda Starkey. Thank you! 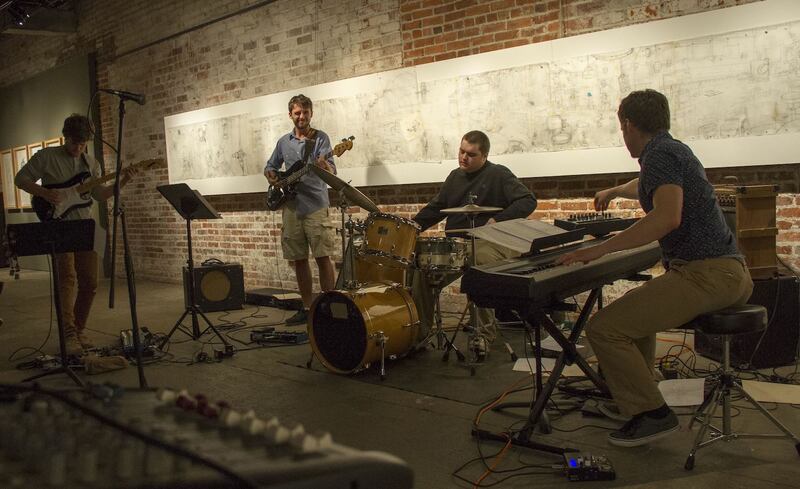 In collaboration with the Wichita Jazz Festival, a Mark Foley-led all original tunes jam session with Nathan Williams (trumpet and/or keyboards) and Corey Rolfe (drums). Jazz standards with Nikki Moddelmog and the SideCar Royals. Friend's University Soulstice Jazz Combo with Clarence King. 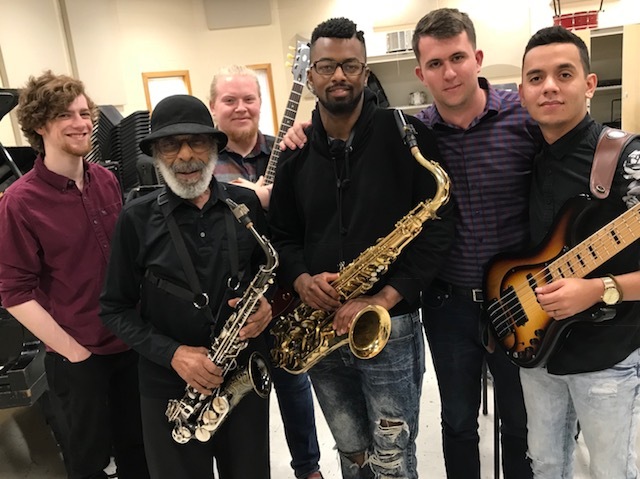 This year, Fisch Haus introduces a new 'sorcerer and apprentice' program, whereby a young band is paired with a local jazz legend for one night of memorable musical interaction. Live flash fiction reading and jazz improvisation. Local authors, juried by Wichita State University literary journal Mikrokosmos, will read their micro-fiction pieces, accompanied in an improvisational format by electronic musician Ian Stewart and jazz saxophonist Geoff Deibel. 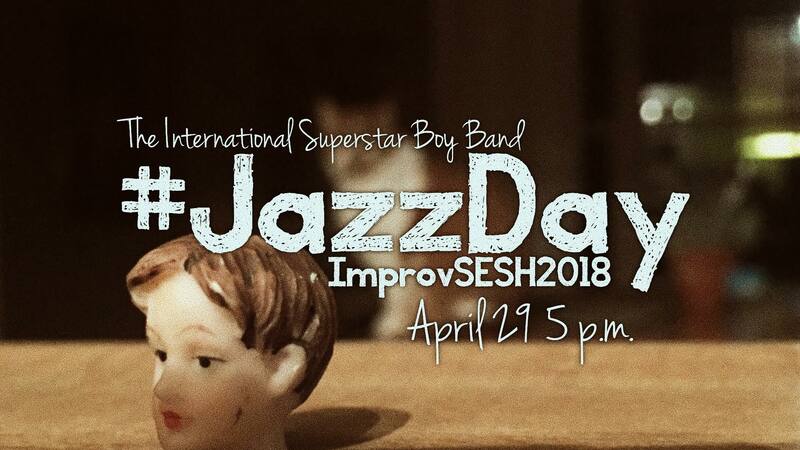 Our annual International Jazz Day improv sesh, with The International Superstar Boy Band (featuring Tat Hidano, UJ Pesonen, Randy Zellers, Von Hansen, and Torin Andersen).